While waiting for the results of the “Triggered Book Study,” I want to give kudos and referral to other authors. 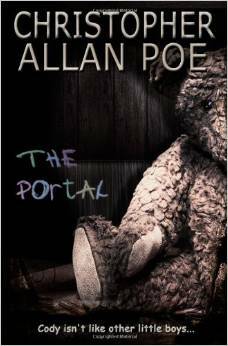 This one is for fellow Black Opal author Christopher Allan Poe and his book The Portal. It is a fine thriller. This entry was posted in Uncategorized and tagged agent, author, blogging, conspiracy, control, crime novel, daily blogging, ebooks, economics, editor, inspiration, marketing, media, novel, plots, promotion, Writer, writers, writing by timdesmondblog. Bookmark the permalink.